Located at 30354 Mulholland Highway, in the community of Cornell, the Rock Store is one of the most famous motorcyclist and biker hangouts in the world. 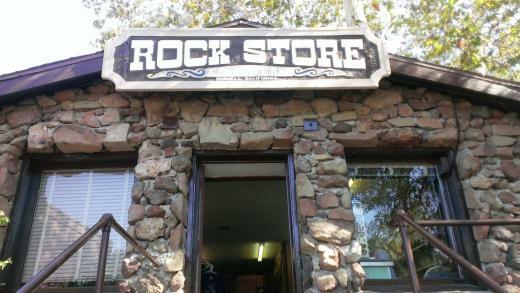 The "Rock Store," made out of volcanic rock, served as a stagecoach stop in the 1910's. Pittsburgh transplants Ed and Vern (Veronica) Savco purchased the building in 1961 and turned it into a grocery store. As the town grew, the Rock Store became a popular destination for motorcyclists, perhaps the most famous motorcycle stop in Southern California. 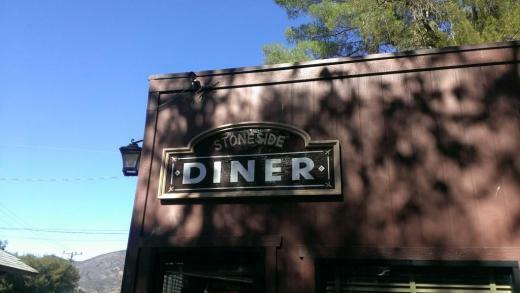 Stop by the Rock Store for breakfast, lunch and beer/wine, to see celebrities and hundreds of motorcyclists/bikers. To get there from the Conejo Valley/Agoura Hills, take Kanan Road south just over 3 miles and take a left on Sierra Creek Road. Turn right on Mulholland, and the Rock Store will be on your left after about half a mile. Open 9am to 6pm on Fridays and 7am to 6pm on Saturday/Sunday. Learn more at www.rock-store.com.